Abbkine Scientific Co., Ltd. was founded by a number of scientists and marketing experts in the field of life science in California, USA in 2012. With growing demands from Asia Pacific, it move its headquarters to China. Combining cutting edge technology from United States with China’s manufacturing engineering and cost advantages, Abbkine aims to provide innovative, high quality assay kits, recombinant proteins, cytokines, growth factors, primary antibodies (epitope, internal control, conjugated, phospho-specific, …), secondary antibodies and other research tools to accelerate life science fundamental research, drug discovery, etc. Applied Biological Materials (ABM) Inc. is a Canadian company that is constantly on the lookout for the latest innovations for life science research and drug development. ABM Inc. develops and markets novel products and services to researchers who want the highest quality at the most competitive pricing. The numerous product lines comprehensively cover many cutting-edge technologies, such as RT-PCR, antibodies, siRNA, cell immortalization, and adenoviral and lentiviral expression systems. ABM also offers various custom services to create novel solutions to experimental challenges and to help you maximize your time by minimizing your research workload. Active Motif is the industry leader in developing and delivering innovative tools to enable epigenetics and gene regulation research. They are committed to providing the highest quality products and superior service & support to serve the life science, clinical and pharmaceutical/drug discovery communities. Whether you are an expert in the field of epigenetics or a researcher interested in integrating epigenetics research into your studies, Active Motif offers a comprehensive portfolio of epigenetics-related products and services and the support of our team of epigenetic experts to provide complete and innovative solutions to tackle your scientific inquiries. Founded in 2006, Affinity Biosciences is a pioneering Life Science and High-Tech company whose biochemical products and services are mainly applied in biotechnology, medical research and pharmaceutical development. Their goal is to develop high-quality antibodies that focus on Cell Signaling Transduction research, including Akt, AMPK, NF-KappaB, TGF-beta, etc, as well as inhibitors and related reagents. Aside from being the major supplier of innovative tools for signaling transduction research, Affinity Biosciences also offers a vast variety of more than 500 inhibitors and siRNA. AimPlex Biosciences, Inc. (formerly YSL Bioprocess Development Co.) leverages years of assay development expertise to offer comprehensive solutions in biomedical testing for multiplexed bead-based immunoassays. Founded in August 2011, the company is committed to developing and providing high-quality, cost-effective assay reagents for flow cytometry analyses. Their immunoassay products employ existing flow cytometry analytical platforms for high-sensitivity detection. AimPlex Biosciences offers a rapidly-evolving, customizable test menu—presently about 400 immunoassays, as well as providing clients custom immunoassay services to help them develop multiplex panels that meets their research needs resulting in improved assay performance and efficiency. It all started with a great idea and a little hard work. Today Aviscera is proud to provide quality products direct to your doorstep through an experience you’ll enjoy. Aviscera is the leading lupplier of specialty biomarker ELISA kits for metabolic syndrome, cardiovascular diseases and cancer research. Additionally, they offer antibodies, recombinant proteins but also CVD & MS biomarkers. Based on their perfected bioconjugation concept, they offer ready-to-use clickable products, custom oligos as well as their powerful technology next to product development services. 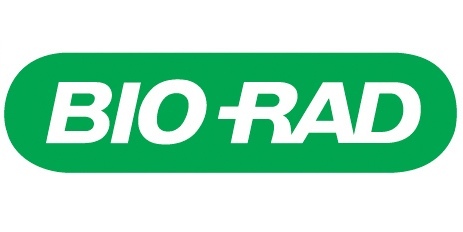 For over six decades, Bio-Rad Laboratories has served life science research and clinical diagnostics customers worldwide through its global network of operations. In January 2013, Bio-Rad acquired AbD Serotec, a world leading antibody manufacturer and supplier with over 35 years’ experience in the antibody market. In May 2016, AbD Serotec fully transitioned into the Bio-Rad brand, changing its name from AbD Serotec, a Bio-Rad company to Bio-Rad Antibodies. Bio-Rad Antibodies now offers a range of over 11,000 antibodies and related reagents suitable for ELISA, Flow cytometry, Western blotting, Immunohistochemistry, Immunofluorescence, and Immunoprecipitation. Their antibody range also include highly validated Precision Ab™ antibodies for western blotting, and covers key research areas such as immunology, cancer, veterinary research and cell biology. Bioline is an ISO 13485 certified company and one of the world’s few manufacturers of ultra-pure dNTPs, as well as a variety of enzymes and biochemicals. They have developed and manufacture a portfolio of more than 300 reagents and kits, many of them proprietary, for molecular biology, cell analysis and nucleic acid and protein separation and purification. Their core competencies and principal areas of activity in R&D and manufacturing encompass qPCR, RT-qPCR, PCR, cDNA synthesis, miRNA analysis and Next Gen Sequencing (NGS). Bioss Inc is a leading antibody developer and manufacturer with state of the art technologies. They have developed over 11,000 primary antibodies and more than 130,000 derived products including fluorochrome conjugated antibodies. In addition to reliable loading control and tag antibodies, their catalog includes over 1000 specific antibodies recognizing proteins with phosphorylation, acetylation, or methylation modifications. Bioss promises fast delivery with strong, top quality scientific support. Bioss Inc is located in the greater Boston area of Massachusetts, the center of the world’s largest and fastest growing biotech community. BioVision, Inc, develops and offers a wide variety of products including assay kits, antibodies, recombinant proteins & enzymes, and other innovative research tools for studying Apoptosis, Metabolism, Cell Proliferation, Cellular Stress, Cell Damage and Repair, Diabetes, Obesity and Metabolic Syndrome, Stem Cell Biology, Gene Regulation, Signal Transduction, etc. BioVision’s products are currently being sold in more than 60 countries worldwide. BioVision aims to provide innovative, high quality assay kits, recombinant proteins, antibodies and other research tools to accelerate drug discovery in disease-related areas like cancer, diabetes, obesity, Alzheimer’s disease, etc. They would achieve these goals through a well-defined core strategy and a company culture that fosters integrity, openness, and collaboration, and rewards customer focus, innovation and ownership. BPS Bioscience provides high quality life science products and services to help accelerate drug discovery for the treatment of human diseases. BPS offers one of the largest selections of unique recombinant proteins and assay kits for the studies of epigenetics, immune checkpoints, metabolism, and cell signaling pathways involved in human diseases. BPS continues to expand its innovative portfolio of products and services, with over 2000 products to advance life science research. BPS has sold products and services to pharmaceutical companies and academic institutes in over 45 countries worldwide, making them a key resource for immunotherapy research and drug discovery advancement. They maintain a customer-oriented approach and have the capability to customize services to meet specific research needs. Whether the request is for protein expression, screening and profiling services, or assay development, BPS Bioscience aim to support our customers in reaching their research goals. Candor is an internationally oriented enterprise which develops, produces and distributes premium solutions for immunoassays. The portfolio comprises Optimizers, Stabilizers, Blockers and other high quality Buffer Solutions. All products are manufactured in their own facility in Germany. Their innovative buffer solution called „LowCross-Buffer“ has been successfully introduced in many laboratories around the world, which allows a greater safety of results, particularly in so-called „interfering samples“. This innovative solution enables for reliable and reproducible assays even in critical matrices. Candor supplies more than 50 high-quality solutions for immunoassays to research and development laboratories as well as to manufacturers of routine testing kits for human, veterinary, food and environmental diagnostics. Cell Biolabs, Inc. proudly develops and commercializes innovative technologies and tools for life science research. They are committed to providing the best products that facilitate discovery of the mechanisms underlying cell function and disease. Their unique, cutting-edge products are currently used around the world in the research laboratories of universities, government institutes, biotechnology and pharmaceutical companies. Cell Biolabs core areas of expertise include Cell-Based Assays, Viral Expression & Purification Kits & Reagents, Oxidative Stress Assays, Metabolism Research Assays & Reagents, and Cell Signaling & Protein Biology. Examples of assays for cell biology include investigation of cell adhesion, migration and transmigration under physiological flow conditions (mimicked in our biochips) and cell culture with easy to use iPod touch and iPad mini controlled microfluidic pumps. Therapeutic areas include thrombosis, oncology, atherosclerosis, inflammation, infectious diseases (e.g. malaria), biofilm culture, stem cell research, sickle cell disease, asthma and allergies. The initial drive for Dendritics was inspired by their will to supply the scientific community with the large collection of monoclonal antibodies they had developed at LIR. Most of the antibodies presented in their catalogue directly result from the participation in gene discovery programs and functional studies. Consequently, there is strong believe that Dendritics has a competitive advantage to ensure high product quality and expert understanding of the underlying science. From their long experience at Laboratory for Immunological Research (LIR), the team members of have gathered complementary scientific and technological knowledge in different areas of immunology. The initial focus of LIR was in the biology of B lymphocytes, elaboration of human monoclonal antibodies, and in cytokine discovery (IL-3, IL-4, IL-7, IL-10, IL-17, GM-CSF). As leaders in custom RNA synthesis, Dharmacon Inc (now part of Horizon Discovery) was an early participant in the newly discovered field of RNA interference, and contributed several key scientific findings and some of the first commercially available, guaranteed to-silence siRNA reagents. This leadership continued through technical advances in bioinformatics and chemical modifications to improve performance. Today, the areas of research and research tools have expanded to support all aspects of RNAi interference; siRNA, lentiviral shRNA, tools for microRNA research and genome scale libraries for RNAi functional screens of genes, microRNAs and long non-coding RNAs. For over-expression, Dharmacon has one of the largest collections of cDNAs and ORFs commercially available. More recently, a suite of innovative Dharmacon CRISPR-Cas9 gene editing tools was released, leveraging Dharmacons leadership in RNA synthesis and vector biology, providing one of the most comprehensive genome engineering toolset available. Their approach in providing ready-to-use synthetic and lentiviral guide RNAs and Cas9 nuclease reagents greatly simplifies the selection of appropriate tools for nearly every application. Their bioinformatics expertise has resulted in the first rational design algorithm for CRISPR-Cas9 functional gene knockout, so predesigned, genome-wide guide RNAs for human, mouse, and rat are only a click away. Diaclone develops a wide range of immunology products, e.g. monoclonal & biologically active antibodies, ELISA kits, ELISpot kits and Multiplex assays („DIAplex“). Research areas covered include Apoptosis, Cytokines, Cytokine Receptors, Chemokines, CD Markers and Adhesion Molecules. With 25 years of experience and expertise Diaclone remains committed to providing excellence in Monoclonal Antibody and Immunoassay development. The oustanding Diaclone product quality and scientific reputation is built on cutting edge therapeutic antibody collaborations within the pharmaceutical industry. The same level of quality is the hallmark of the entire Diaclone product range maintaining our reputation as an established centre of excellence for monoclonal antibody research and development. From monoclonal antibodies through to assay development our expertise is every present ensuring consistent high product quality. DiscoverX® is an innovative company that develops, manufactures, and commercializes reagents, complete cell-based assay kits, profiling and screening services as well as other turnkey solutions for the drug discovery, screening, and life science markets. Our biochemical and cell-based assays enable customers to improve research productivity and effectiveness of their screening, lead optimization and SAR campaigns, thus accelerating the discovery and development of new drugs. Plus, with the addition of the BioMAP® platform of human primary cell systems for phenotypic profiling, DiscoverX offers a powerful tool to deliver physiologically relevant insights and integrated solutions for all stages of discovery from target and lead discovery to preclinical and beyond. With more than two decades of experience in the synthesis of functional fluorescent dyes, the staff of Dyomics has an excellent scientific foundation in the research of ideal labels for bioanalysis and diagnostics. Dyomics accepts the challenge to develop new high quality „tailor made“ dyes for bioanalysis and related fields of high technology. The product portfolio ranges from laser dyes to fluorescent indicators for optical sensing, which includes lipophilic membrane probes and dyes with enhanced Stokes shift. Recently, there has been a renaissance as well as a revolution in the use of light in biotechnology, biomedical research, and clinical diagnostics. Powerful new markers and / or probes, which have been constructed using knowledge of both organic chemistry and molecular biology, are combined with automated imaging workstations to define the content, activity, and dynamics of different materials in life science. Euroclone Group is an Italian company with a clear and growing interest in innovative and state-of-the art technologies originated by in-house R&D as well as obtained under private label and OEM agreement with the most qualified manufacturers worldwide. We offer a selected range of Western Blot reagents like chemiluminescence substrates comparable to the former Thermo Scientific Pierce West Pico, Duro and Femto substrates, Protein Markers and Protein Assays. 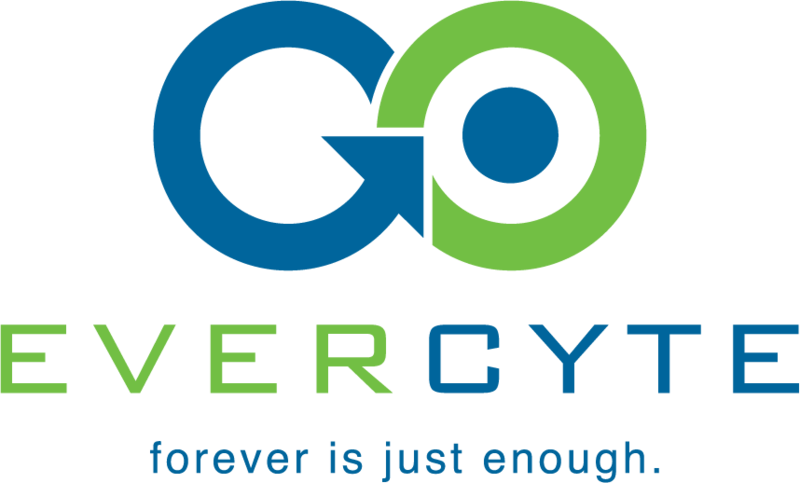 Evercyte establishes immortalized cell lines that retain key functionalities of the corresponding primary cells and has put a focus on the development of patient specific human iPS cell lines from urine-derived cells, which can be differentiated into any cell of the three germ layers. Evercyte’s cell cultures find their applications as model systems in basic research as well as in pharmaceutical, chemical and cosmetic industries as well as in ecotoxicology. In close collaboration with our clients we also develop novel cell lines from human tissues and establish innovative in vitro test systems to answer our client specific questions. EXBIO Antibodies strives to exceed the most demanding customer expectations in the field of analytical cytometry. With 25 years of experience in manufacture of monoclonal antibodies EXBIO provides a comprehensive range of high quality products for research and diagnostic applications. Antibodies from a broad list of clones are available in many colors and also in premixed CE IVD cocktails. Flow cytometry kits are intended for analysis of allergy, phagocytosis, apoptosis, fertility, cell cycle, T regulatory cells and NK cells. Fine Biotech technical support are delicated to providing with professional and friendly assistance for our customers. Strict and multiple quality control ensure that the products continue to successfully supply for the international market. Moreover, Fine Biotech strive to continuously improve the customer experience through comprehensive technical support. High quality,rapid turnaround and personal support for all FineTest services are guaranteed. Fitzgerald Industries International was founded in 1989. From its humble beginnings of just six employees based in Concord, MA, the company has grown dramatically over the years, with offices and large workforces now spanning three continents. The product range is constantly growing with the addition of new primary antibodies, secondary antibodies, recombinant and native proteins, ELISA kits, Sera and Plasma, and many other biological reagents. Fitzgerald strive to offer our customers the best products in the world, such that they go to the ends of the earth to make or source them. Fitzgerald manufacture many of their products in their facilities in Ireland, Canada and USA. And when they cannot make them, they work with institutes, academic laboratories, and manufacturing partners to ensure they can provide the biggest level of choice possible. The core team is made up of scientists, many of whom have worked with the company for over 25 years, and who understand that antibodies do not abide by the rule that ‘one size fits all’ and that proteins don’t always ‘behave’ as they should. GeneCopoeia, Inc. is a US-based manufacturer and provider of genomics and proteomics products and services for academic and governmental research institutes, pharmaceutical and biotechnology industry. GeneCopoeia and its joint venture, FulenGen, have manufactured and released into market the largest number of human full length protein coding ORF cDNA clones in multiple sets of vector systems with various features which make these clones suitable for a variety of functional assays, protein expression and easy purification in many cell types as well as cell free transcription and translation coupling systems, and large scale functional genomics and proteomics studies. They also offer a comprehensive suite of accurate, reliable and affordable gene and protein based products and services that are integrated with their large collection of full length ORF cDNA clones, which includes recombinant proteins, polyclonal and monoclonal antibodies, RNAi products, custom cloning and protein production services, and other life sciences tools and products. HumanZyme, Inc. is the global leader in providing highly authentic recombinant human proteins from human cells. This process is cost-effective and scalable making their proteins suitable for the research, diagnostic, drug discovery and biopharmaceutical markets. HumanZyme leverages its proprietary engineered human cells, expression vector, and cell culture media to ensure high-yield production of recombinant proteins with native human post-translational modifications, such as disulfide bonds and glycosylation. HumanZyme is a leading provider of cytokines and growth factors and a preferred outsourcing supplier of human protein production. Their products and services support a broad range of customers worldwide – from academic and government research institutions to biotechnology and pharmaceutical companies. HyClone has provided customers with fetal bovine serum (FBS) and other cell culture products since 1967. As part of GE Healthcare since March 2014, HyClone continues to offer high-performing cell culture products, manufactured to strict quality standards. The HyClone cell culture portfolio includes sera, media, supplements, buffers and process liquids. HyClone has a proud track record of letting customer needs fuel the development of products and manufacturing procedures. HyClone was, for example, the first company to introduce true-pool processing for FBS, minimizing variability within serum lots. Later, as regulatory standards matured towards animal origin free products, HyClone worked diligently with customers to create high-performing products to meet their needs. 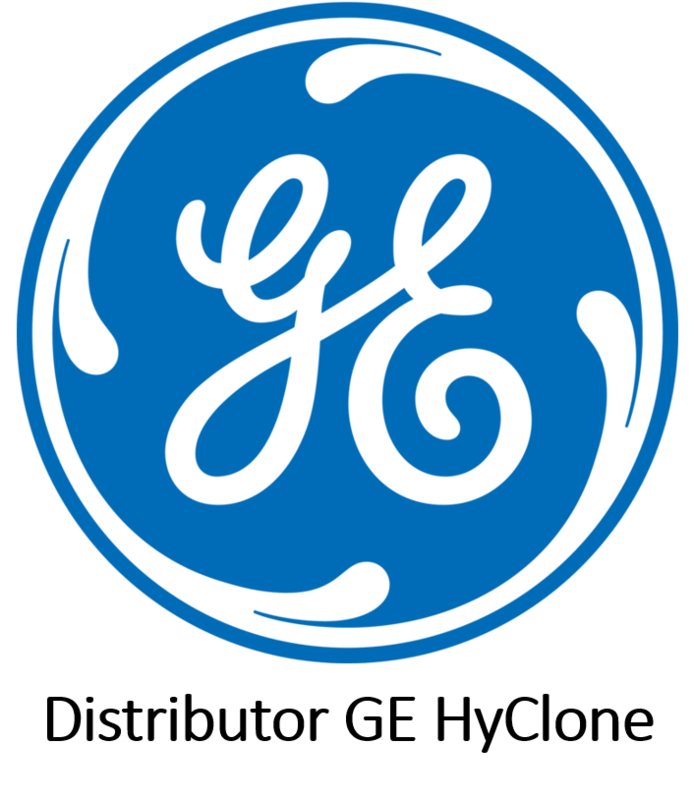 GE Healthcare HyClone products are manufactured under strict quality conditions for consistent quality and reliability. Manufacturing facilities in key global regions help meet rising demand and ensure you get your HyClone cell culture products when you need them—wherever you are in the world. Smarter nucleic acid sample preparation is the core competence of STRATEC Molecular. As part of the STRATEC Group, they provide products for manual and automated DNA and RNA extraction from a broad variety of samples starting with sample collection, stabilization and purification. STRATEC Molecular is committed to manufacturing top quality products which they back with unparalleled customer support and a warranty. Most of their products are CE-marked with Directive 98/79/EC on in-vitro diagnostic medical devices (IVD-Directive). JM BioConnect®’s mission statement is to be the upstream and downstream disposable process solution specialist for our customers in the pharmaceutical and biotech industry. This is not limited to single disposable units but within their portfolio JM BioConnect® designs and manufactures complete (sterile) single-use operation units for both at the upstream as on the downstream side of your fermentation process. Leinco Technologies is a biotechnology company founded in 1992 as a specialty manufacturer of early discovery research products including antibodies, recombinant proteins, ELISA kits, second step reagents and other life sciences products. Shortly thereafter, we also established ourselves as a premier provider of custom R&D and manufacturing services focusing on monoclonal antibodies and recombinant proteins. Our innovative products and services are used to augment the early discovery process in life science research, diagnostics and ground breaking development of protein therapeutics. Product identity, quality, purity and activity are assured by robust quality control and assurance polices, programs and procedures. MCE perform thorough analytical testing – including HNMR, LC-MS and HPLC – stability testing and activity assays on their products and the results from these tests are available to clients. Continuously, Nordic BioSite introduces many novel products as a result of the research and development with their partners and the feed back from our customers. Through the development, manufacturing, marketing and distribution of their products our aim is to facilitate your research. Pharmacelsus is Germany´s market-leading early stage contract research organisation (CRO). We plan, organise and realise customised preclinical studies for life science companies and academic institutions. For more than 15 yrs 120+ satisfied customers rely on our expertise, our experience and in particular on our passion for quality. The Pharmacelsus portfolio covers the complete drug discovery and development testing program for small molecules in silico, in vitro, in vivo, ex vivo as well as G(C)LP and non-GLP bioanalysis. Our assays meet national and international regulatory demands. ProSpec´s research team and scientists have been able to assemble more than 6000 recombinant proteins, peptides and antibodies for your research needs. Among our proteins are Interferons, Interleukins, Bone Morphogenic Proteins, Tumor Necrosis factors, Leptins, Stem Cell factors, Prolactins, Chemokines, Antibodies, Peptides, Enzymes, Viral Antigens, and various growth factors. The proteins are rigorously tested to meet the research and development demand for excellent quality, uncompromising biological activity at competitive prices. With one hundred percent originally produced monoclonal and polyclonal antibodies, Proteintech offers its customers sincerity and integrity, qualities you will discover continually throughout your workflow. When you receive your antibody and see the Proteintech logo on the vial, know that you hold something that is truly unique. Proteintech has pledged to undertake siRNA knockdown validation of most of its antibodies by the end of 2015. The specificities of over 550 of its antibodies have already been confirmed by customers using siRNA knockdown, and published in over 650 journal papers. In adding its own siRNA data to those previously available in the literature, Proteintech’s aim is to make a gold standard of antibody validation more accessible to its customers. QED Bioscience develops novel monoclonal and polyclonal antibody products for academic, biotechnology, diagnostic and pharmaceutical research clients. They can provide you with an antibody product that will work specifically within your system. QED also develops monoclonal antibodies with pharmacological activity for enzyme neutralization and inhibition of receptor-ligand interactions, and anti-idiotypic antibodies. QED offers over 1,500 monoclonal and polyclonal antibodies for research, discovery, and diagnostic applications in cancer research, neuroscience, signal transduction, infectious disease, and many other research areas. Building upon experience in the antibody development and manufacturing field, QED is continuing to develop new antibody products and immunological services to better serve your needs and support your research efforts. RayBiotech is a leading life sciences company providing proteomic discovery tools. They introduced the first commercially available cytokine antibody array. Since then, RayBiotech´s product lines have expanded to include hundreds of arrays and immunoassays for efficient analysis of proteins involved in inflammation, angiogenesis, apoptosis, cell growth, and signal transduction. In addition, RayBiotech now has the world’s largest selection of fully validated ELISA kits. RayBiotech has also added comprehensive service programs including Array Testing Services, Biomarker Discovery, Peptoid Discovery, and Custom Assay Development. RayBiotech now provides these products and services worldwide through a world class network of distributors. Reddot Biotech Inc., located in Kelowna, British Columbia, Canada, was founded in 2015 by an executive team with over 35 years combined experience in the medical device industry. We focus on providing customers in the global marketplace with timely customer service, reliable supply and products with superior performance. They thrive on competition, innovation and fast resource allocation for customer needs. Reddot Biotech Inc. currently focuses on the development and production of high quality ELISA kits for research use, as well as a range of other high quality products and services for pharmaceutical, laboratory, medical and scientific research use. They are committed to research and development to bring customers top quality products providing accurate, reliable and fast results critical to any research. ReproCELL Europe Ltd is a combination of two companies acquired by ReproCELL in recent years – Reinnervate and Biopta. ReproCell offers unique and competitive products and services to accelerate research in stem cells, human tissues and 3D cell culture. Reinnervate’s core strength was in its Alvetex® family of 3D cell culture products, providing a flexible platform that allows scientists in any life science laboratory to easily establish improved in vitro assays and tissue models that better mimic the in vivo growth of cells. Biopta’s expertise lies in all areas of human tissues research including sourcing, handling and experimenting on human tissue allows us to act as your “Human Tissue Research Department”. ScheBo® • Biotech AG is an innovative biotech company that is active in the field of development, production and marketing of diagnostics. Continuous innovation, strong customer focus and creative problem solving have made ScheBo® • Biotech AG a worldwide leading manufacturer of unique products. ScreenFect GmbH was founded in 2012 by Dr Pavel Levkin and Dr Gary Davidson as the result of a successful interdisciplinary research collaboration at the Karlsruhe Institute of Technology (KIT), Germany. Innovative chemistry in Dr Levkin’s group combined with the biological expertise in Dr Davidson’s group allowed rapid transfer of technology from an academic setting to a commercial business. Sino Biological Inc. is a world leading biological reagents manufacturer, offering a comprehensive set of premium quality reagents, all of which are produced in-house and cover a broad range of life science research and drug development. Sino Biological provide one-stop service for protein and antibody discovery, research, development, production and commercialization. The product application covers a broad range of life science research and drug development such as immunology, cell biology, oncology, neuroscience, stem cell, virus, etc. In the meantime, Sino Biological is also dedicated to research and development of biological pharmaceuticals such as monoclonal antibodies, recombinant protein drugs, virus vaccines and rapid diagnosis. Tonbo Biosciences is a new and innovative provider of cell analysis reagents, especially flow cytometry reagents. Their product lines range from antibodies over recombinant proteins til PCR reagents. Moreover, Tonbo added an additional 1,000+ immunophenotyping products during the first quarter of 2013 representing approximately 80% of the reagents used most frequently by life scientists, clinical researchers and clinicians involved in basic scientific research and drug discovery. These reagents largely target cell surface molecules such as CD3, CD4, CD8, CD19 and CD45 that provide critical insight into the immune system’s status and overall cellular function. United States Biological’s biochemicals, antibodies, recombinant proteins, cell culture media and molecular biology kits are used in virtually all scientific applications and settings, including genomic research, biotechnology, pharmaceutical development and the diagnosis of disease. Products are available from affordable research quantities to larger bulk amounts for process development and production. VitroVivo Biotech offers products and services that are focused on the area of histology, laser capture microdissection (LCM), immunostain, in situ hybridization, cell biology, formalin-fixed, paraffin-embedded (FFPE) sample analyses and pathology consulting by a certified pathologist. YO Proteins AB was founded in 2008 with a product range that comprises of primary antibodies, secondary antibodies, proteins and affinity resins.